ZX Ventures, the venture capital arm of the global beer giant AB InBev, has bought the remaining stake in consumer review site RateBeer that it did not already own. The financial terms of the deal were not disclosed, however, RateBeer co-founder Joe Tucker confirmed the news on the site’s forum. AB InBev acquired a minority stake in RateBeer in October 2016, but did not publicly announce the news until June 2017. 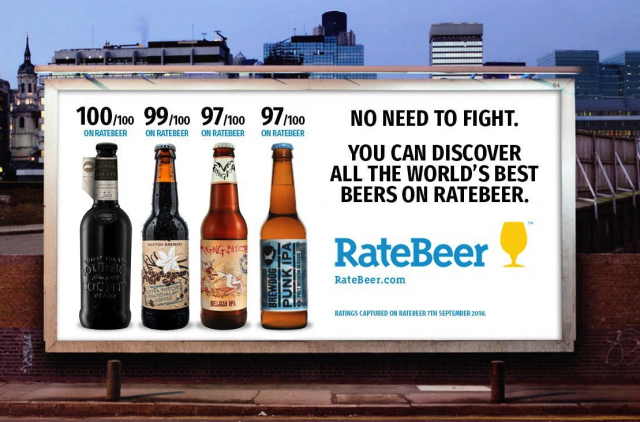 Now fully-owned by the brewer, he said that RateBeer would continue to modernise its site and “expand into new areas” such as “an affiliate marketplace in Australia”. He also confirmed that he would remain working in the same role (global community manager) in spite of the acquisition. Tucker added: “RateBeer is a quality-focused organisation, and our value to the community has always depended on our integrity, and willingness to put in greater effort to produce more meaningful scores and information. “I’m very grateful for having the opportunity to serve you all. It’s been a great pleasure meeting so many of you in person, and through this more fully understanding our important role in industry, and the joy, pride and responsibility felt by so many out there in RateBeeria. News of AB InBev’s initial investment caused a backlash within the craft beer community, with many questioning whether the site could truly be unbiased. Established brewers such as Dogfish Head and Karl Strauss were among those who asked for their ratings to be removed from the site. Tucker told Brewbound, however, that while the site lost “a few” users, it gained “about ten times more” in the same week. ZX Ventures’ investment portfolio includes beer brands such as London’s Camden Town, Australia’s Pirate Life and Argentina’s Patagonia Cerveza. Its other technology investments include Beer Box, Pico Brew and Hopt. In April last year it was announced that ZX had acquired UK-based Atom Group for an undisclosed sum. The Atom Group, based in Kent, is comprised of online spirits retailer Master of Malt, producer Atom Brands (which includes That Boutique-y Whisky Company and That Boutique-y Gin Company) and distributor Maverick Drinks.